Hello to all the readers of HoneyBear Lane! in instructional psychology and technology. That’s a mouthful…but the main focus of my thesis was literacy; more specifically, helping children have active experiences with learning before, during, and after reading in second and third grade classrooms. forefront of my life and brain, even if just a tiny bit, to feel like a happier mom for my kids. So, throughout the month of March on my normally-reserved-for-family-happenings blog, Team Hoopes, I did a series that included my own posts and some guest posts about reading and books! There is a lot of great stuff in those posts and some good ideas in the comments as well. Feel free to check it out. Today I am here to share a quick list of ten of my favorite books for reading aloud to children. 1. “I Can’t,” Said the Ant by Polly Cameron is a story about different items in the kitchen encouraging ants and spiders as they work together to help Miss Teapot back up to the counter. It is a fun read, with simple and classic illustrations – and kids love guessing the rhymes! Bonus: grandparents might even remember having read this one as children! 2. Wild About Books by Judy Sierra and Marc Brown is about silly animals that catch the reading bug when a librarian named Molly McGrew brings books to the zoo. Written in a Seussian rhyme, this book is great fun to read aloud. I also think Marc Brown of Arthur books fame does a great job illustrating all of the many animals in the zoo. 3. 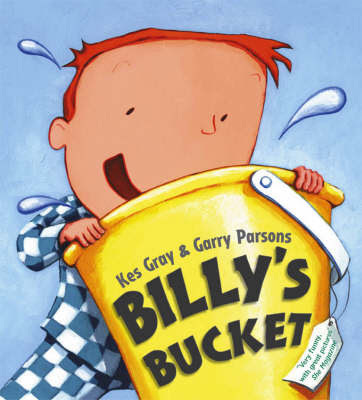 Billy’s Bucket is by Kes Gray and Garry Parsons. I love this one because it has fun words in it like “bucketty” and encourages kids to use their imaginations. Billy is a hero for kids everywhere – all of the things he sees in his bucket are not just imagined, they are real. Please look for this at your library! The end is the best part, and I certainly won’t spoil it here! 4. 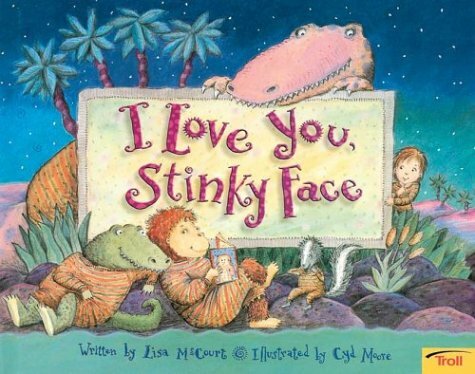 I Love You, Stinky Face by Lisa McCourt is a heartwarming story of a child who doesn’t want to go to bed just yet (we’ve all been there, haven’t we?) because he has a question. My kids think this is a silly, fun book, but I love it because the mother in the story makes it clear to her child that he is loved – no matter what he is! 6. Peterkin Meets a Star by Emilie Boon is a book from my childhood that I swiped from my parents’ home a couple years ago because I wanted to share it with my kids. A little boy takes a star home one night and then decides to put it back when it seems the star is happier in its home in the sky. Nearly every time I read this, my son’s lip starts to quiver and he just gets so sad in the middle of the story. But luckily things work out in the end so he doesn’t stay sad for long! 7. 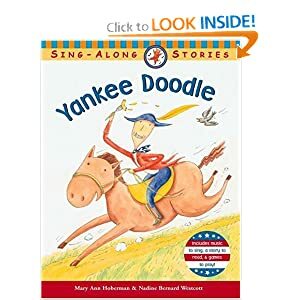 Yankee Doodle (Sing-Along Stories) by Mary Ann Hoberman and Nadine Bernard Westcott adds a new twist to this patriotic classic. In this book (which, by the way, you have to sing and not just simply read) Yankee Doodle meets some friends and he opens up a restaurant called Yankee Doodle’s Noodles. It’s a short book and makes a great one for trying to read as you march around the room with children. Humble heroes, bold and brave. 10. Blue Hat, Green Hat by Sandra Boynton is one of my favorite of her books. My kids call this book OOPS and love to “Play oops!” or, put socks on their hands or pants on their heads to mimic the turkey in this little board book. I tried to put books in this list that are fun for me and my husband to read to our kids and that are also noticeably fun for the kids to have read to them. That’s just ten books…and I know there are more great ones. Thanks so much for that great list Stacey!! I love children’s books and am always on the lookout for great ones!! Check out her blog Team Hoopes for more great reading and literacy helps! Thanks for the list! I'm always looking for good books to read to my girls, 5 and 2. I haven't read most of these, so I'll have to check them out.